We call it Han-il-jeon, they call it Nikkan-sen. All will agree: it’s the greatest rivalry in East Asian sport. Two neighbors who just don’t like each other going toe-to-toe – thousands roaring in the stands, 22 men lined up and 1 ball to kick around for 90 minutes. At Ajinomoto Stadium in Tokyo, this long and storied rivalry will rise again through sport with the 2017 East Asian Cup on the line. The Korea-Japan rivalry stretches back decades. Obviously, on a cultural level it takes root in the colonialist conventions of Imperial Japan, who kept the entire Korean peninsula under its dominion for decades. The effects of that rule are still felt today, through numerous hot-button issues in Korean political discourse. But on the football pitch, one date stands tall for Red Devils supporters: March 7th, 1954. 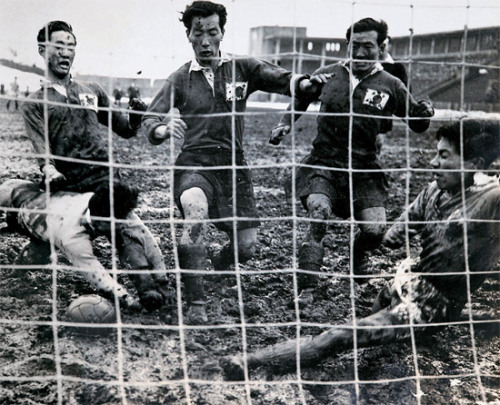 On this date, the South Korean team, played their first match against the Japanese national team – and won. 5-1, in Tokyo. Though Korea could have played the match at home, President Rhee Syngman was not keen on letting the Japanese play on Korean soil after having been a prisoner of the colonial regime himself. His famous threat to the team: “If you lose, throw yourself into the sea” didn’t ever materialize, as a draw in the second leg meant the South Koreans had qualified for their first World Cup, while Japan would have to wait another 44 years. It was spirited, passionate, bruising and consequential – the first true Haniljeon. In more recent times, this rivalry, has, however, been all blue. Samurai blue. The past three of five encounters have gone Japan’s way, and Korea hasn’t won since 2010, when Park Ji-sung scored that famous stare-down goal. The 2013 East Asian Cup game – where Korea was practically eliminated but still had the opportunity to strike a fatal blow to the prospective winners Japan – saw Korean nationalist banners being unfurled, with tifo of Korean heroes and slain leaders of resistance to Japanese rule being waved alongside a slogan “A country that forgets its history has no future”. A brace from Kakitani saw Japan prevail 2-1. Early in 2011, the two enemies met in the Asian Cup semi-final in Qatar. Though Ki Sung-yueng put Korea in the lead on 23 minutes from a spot kick, Japan roared back with Maeda’s goal on the 36th minute, scoring on a saved penalty kick. But the call was controversial, and lingered in Korean minds after the eventual defeat – Hosogai and Hwang Jae-won exchanged extra time goals, with the latter dramatically tying the match on the last kick of the game, before three successive Korean penalty kicks failed to find the back of the net. Japan won the final and were crowned Asian champions. A few months later, Korea tried to heal their wounds in a friendly, but no dice – a bruising 3-0 defeat which swung the public against then-manager Cho Kwang-rae. Of course, no one could forget the most glorious (from a Korean standpoint) Han-il-jeon of all, the 2012 Summer Olympics bronze medal match, where Park Chu-young and Koo Ja-cheol scored memorable goals to win military exemption and Korea’s first Olympic medal, while midfielder Park Jong-woo famously brandished a poster reading “Dokdo is our land”. With the brief exception of that U-23 result, it’s been a while since Korea has won a senior match against the Japanese. The 2015 East Asian Cup clash was less memorable, resulting in a 1-1 draw. This time, there is more on the line, with Korea needing to win their first game against Japan in over 7 years to claim the trophy. Any other result will bring the trophy into Japanese hands. South Korea’s last time out was the previous game against North Korea. You can read the full Tavern recap here. The Taeguk Warriors took a patient, wing-oriented approach that was at times tedious, which saw Jin Seong-wook coming close to scoring on his debut but to no avail. 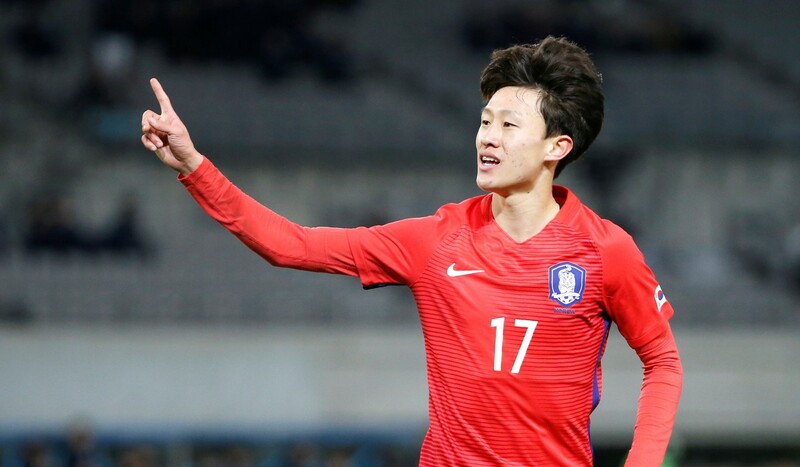 A Kim Min-woo cross was awkwardly deflected into his own net by a North Korean centreback and that was enough to secure South Korea the victory. Defensively, North Korea offered little, and rumors are now swirling about the future of Jorn Andersen, the North Korean manager, and whether or not he will remain as head coach after the tournament. Shin Tae-yong conceded the dullness of the gameplan but insisted it was the right approach. Japan’s last time out saw them run out 2-1 winners over China. Much like against North Korea, it took Halilhodzic’s side a lot of time, and a bit of luck, to penetrate the opposition defense, but Kobayashi took the lead thanks to some incisive passing before Gen Shoji, the centreback, just a scored a ridiculous goal from 45 yards out. A late penalty by Yu Dabao annulled the clean sheet. The Korean team did not train today (the 14th), an executive decision by fitness coach Javier Minano Espin because of squad fatigue, with the side set to play their 3rd game in a week after a draining domestic season. Shin and his coaching staff instead held an intensive tactical session. Manager Shin has also announced that veteran forward Lee Keun-ho will be eligible for selection. Lee had a muscle strain that was preventing him from partaking in the first two matches. The coaching staff has also reportedly emphasized the importance of set-pieces. Media says the team has “learnt” 8 set-pieces in training. Assistant Coach Javier Grande has reportedly had a body flu this past week and has been watching the matches from the stands instead of pitch side. There will be a lot of scrutiny of Shin Tae-yong’s tactics against Japan. Against China, the so-called “Tinkerman” opted for a 4-2-3-1, but against North Korea he elected for a 3-4-3. Neither formations were particularly effective as Shin sought to find his so-called “Plan B” behind the 4-4-2 system. Korean media are suggesting he might return to that 4-4-2, which was effective in the November friendlies against Colombia (2-1 W) and Serbia (1-1 D). However, scouting seems to suggest Japan conceded a lot of crosses to China and conventional wisdom would argue that a 4-4-2 without Son Heung-min may lose some of its punch. Vahid Halilhodzic held an extended training session on the 14th because the Koreans were not training and made it open to the media. Forward Junya Ito reportedly has a thigh bruise, but otherwise the squad appears to be fully fit. A traditional 4-2-3-1 will likely be their shape. For more on the Japanese squad, check out yesterday’s interview with Japanese football expert Dan Orlowitz. 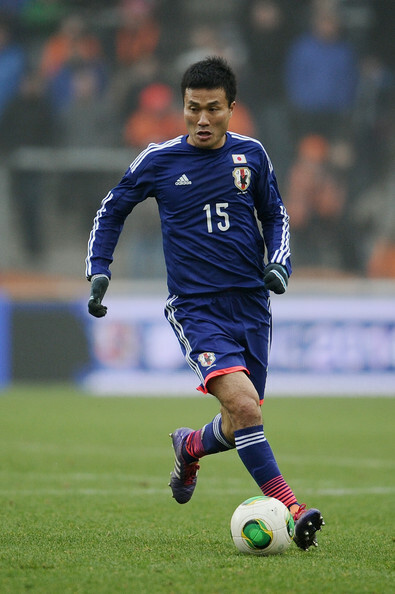 All eyes will be on two midfielders – Jeonbuk’s Lee Jae-sung and Gamba Osaka’s Yasuyuki Konno. Lee has been the spark in this otherwise average Korean side. Though against North Korea, deployed in a wider role, he had less impact on the match, he still set-up a clear-cut opportunity for Lee Chang-min with a smart header from a throw-in to play the Jeju player in on goal. Against China, however, he really shone, claiming the man of the match award with a goal and an assist. Happy to sift inside into the channel between defense and midfield, where he so often wreaks havoc, Lee linked up stealthily and with his usual deftness and sizzle with teammates thanks to his quick movement and light passing. Konno, on the other hand, is more of a rock. He is the solid foundation for the Japanese midfield and played the full 90 minutes in both of the first two games despite reasonable rotation. The evergreen 34 year-old defensive midfielder has more caps – get this – than this entire Japanese squad… combined! The 9th most capped player in Japanese history boasts 92 appearances in a Samurai Blue shirt to his name and assisted the winning goal against North Korea. With a solid passing range, aggressive but calm ball-winning ability and leadership on and off the ball, Konno is the wily veteran that this Japanese side can rely on one last time at this competition. Not a lot should hinge on this match given the diluted squads, but this rivalry will always ignite passions. Combine that to a World Cup “year” and the finality of the encounter, and this game just matters. Whatever you call the fixture, the consequences are the same – pride and glory to the champions, bitter disappointment for the vanquished. All that remains to be seen is which nation will have which. In the US, what Shin Tae-yong did is called “billboard material” for Japan. For his sake, I really hope the team can cash that check his mouth is writing. I don’t know why he’d be so confident haha. 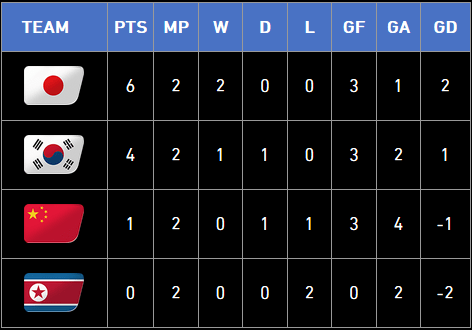 Japan has looked the better team in the tournament (all teams are a bit disjointed, but Japan still keeps some flow) and for us to win is a tall order. Some fans are calling for his resignation if we lose, but that isn’t happening.